Explore the Waitomo area on a budget! With caving, abseiling, black water rafting, climbing, glowworm boat tours, it’s pretty easy to spend your backpacker budget in the fascinating Waitomo Caves. But when you have dried off from your underground glowworm caving adventure, there’s heaps more awesome things to see in the Waitomo area… for free! Hike to unusual limestone rock formations and see more of those glowworms that Waitomo is famous for. If you have a car or borrow/rent a bike from your hostel, there’s a few different things to see in nearby towns, such as Otorohanga, the quirky Kiwiana Town, and the unusual motel accommodation is worth a look at in Woodlyn Park. Whatever you decide to do, don’t leave Waitomo in a hurry once the black water rafting tour is over. For many of the locations listed below, you will need your own transport. (Or to conveniently make friends with someone who has transport). Visit this loop walk at night to see a display of glowworms! (Take a torch). The loop walk also showcases natural limestone cliffs that Waitomo and the Ruakuri Cave is famous for, including arches and tunnels. Although the walk only takes 45 minutes to complete, give yourself an hour for lots of photo opportunities! Location: Off Tumutumu Road. 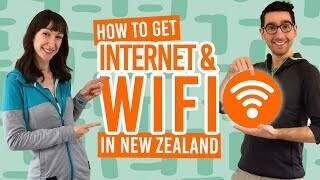 The easiest access point is from the Waitomo Adventures car park. If you have a vehicle, visit more natural wonders in the Waitomo area. Not only is the drive down Te Anga Road (State Highway 37) a stunning drive, but the loop walk to the Natural Bridge is unusual with many bridge crossings and deep gorges. The grand finale is a 17m limestone arch. If you take the entire loop walk (turn right at the “Natural Bridge” sign when you cross the bridge from the car park), you will walk through farmland to fossilised oysters in limestone outcrops. The loop takes about 20 minutes to complete. Location: 25km from Waitomo. Take Te Anga Road (State Highway 37) which is signposted on the right side of the road from Waitomo. A few kilometres down the road from the Natural Bridge (see above) is the 43m Marokopa Falls. The 10-minute bushwalk from the Te Anga Roadside brings you to a viewing platform of what has been described as one of the most beautiful waterfalls in New Zealand. (Except for just after a lot of rainfall, then they are described as the most fierce waterfall in New Zealand). Location: 29km from Waitomo. Take Te Anga Road (State Highway 37) which is signposted on the left side of the road from Waitomo. Location: Otorohanga, just 14km out of Waitomo on State Highway 3. The Walkway is on the main street, you can’t miss it! You’ve probably heard of Hot Water Beach in the Coromandel. Well, you can also dig your own hot pools in the sand at Kawhia (Te Puia) Hot Springs on Ocean Beach. Time your visit two hours before and after low tide and bring a spade to dig your very own hot pool. Location: 69km from Waitomo. Kawhia is at the end of State Highway 31, accessed from Otorohanga. Another small charming town near Waitomo is Te Kuiti, the “Shearing Capital of the World”. Visit the giant Shearing Statue which weighs 7.5 tonnes at the beginning of State Highway 30. A few other “large” statues you can find include the Weta Wall and Bronze Bat on Rora Street. There are a few parks in town also, making Te Kuiti a worthy trip to. For more big sculptures, see 22 BIG Things in New Zealand. Location: 18km south of Waitomo down State Highway 3. If you are staying in Waitomo Village, then you are laughing! This hike is right on your doorstep. See some of those famous limestone formations and get a view over fields and karst formations from the the lookout. This 2h30min hike one way. The walk connects with the Ruakuri Bushwalk (see above) for an extended hike. Location: Begins opposite the Waitomo Caves Discovery Centre and i-SITE. Walk to the remains of an Maori pa site (fortified village) once occupied by the Ngati Hia iwi (tribe) in the 1700s. Trenches and kumara pits are the only identifiable features now. The 50-minute return walk goes through both native bush and farmland. Location: Just off Waitomo Caves Road. Grab your torch and look into a limestone cave surrounded by forests of outcrops. The walks is 10-minutes return from a roadside carpark. Location: 29km from Waitomo. Take Te Anga Road (State Highway 37) which is signposted on the right side of the road from Waitomo. Just south of Te Kuiti, this 30-minute return track follows the Mangaokewa Stream with large native trees leading to a sweet swimming spot and Cascade Waterfall. Alternatively, turn your walk into a hike by taking the Mangaokewa Tramping Track starting from the swingbridge. Location: 25km south of Waitomo off State Highway 30. The Timber Trail is predominantly a cycle trail. Because getting a cycle is not always free, many backpackers still enjoy walking this 85km long trail through native forests, across deep river gorges and along historic tramways. Find out more about biking the Timber Trail at Mountain Biking in Ruapehu. Location: Start 3km along Barryville Road in the Timber Trail car park, 71km from Waitomo. Oh my God, more waterfalls! Yes, but this waterfall is amongst some Hobbit scenery. Just take a 15-minute walk from the roadside into a bit of native bush to a viewing platform. The track is 15-minutes return. Location: Along Mangaotaki Road out of Piopio, 42km south of Waitomo. This 30-minute loop track takes you through some of that famous Hobbit scenery with native forest. A good stop to include with a visit to Waitanguru Falls. Location: Along Mangaotaki Road out of Piopio, 42km south of Waitomo. Start the track immediately after the Manaotaki Bridge. Ok, this isn’t a “real” Hobbit hole, but the motel at Woodlyn Park is full of crazy-looking accommodation. If you’re desperate to photograph a Hobbit hole but can’t get to Hobbiton, then take a cheeky snap of Woodlyn Park. We won’t tell anyone. (For more quirky places to stay, check out 11 Unique Accommodations in the North Island). Location: 1.3km up Waitomo Valley Road. This is a driving mission for someone who truly has a full day to spend when in the Waitomo area. Waikawau Beach is only accessible by walking though a tunnel. Explore white cliffs with waterfalls and face carvings. Make this your final destination either along the Te Anga Road (State Highway 37) then continuing on the road along the coast from Marakopa, or along State Highway 3 through Te Kuiti and Piopio. 16. Grab a cheap activity deal on our deals page! That’s right, we often have some amazing deals on activities in Waitomo for under NZ$20! Take a look at our exclusive Waitomo deals over on the BackpackerGuide.NZ DEALS tab. 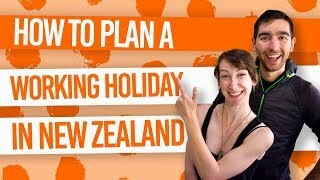 Need more New Zealand travel tips in your life?